Can Stevia Replace Your Everyday Sugar? Read on to find out..
Can Stevia Replace Your Everyday Sugar? Are you worried about consuming excessive sugar? Let us introduce you to a possible remedy to your worries. STEVIA. Stevia is a sugar substitute (natural sweetener) which is derived from plants and used by people who are trying to cut down on their calories consumption and hence need to lower their sugar intake. Doctors advise diabetics to have stevia and control their sugar levels. 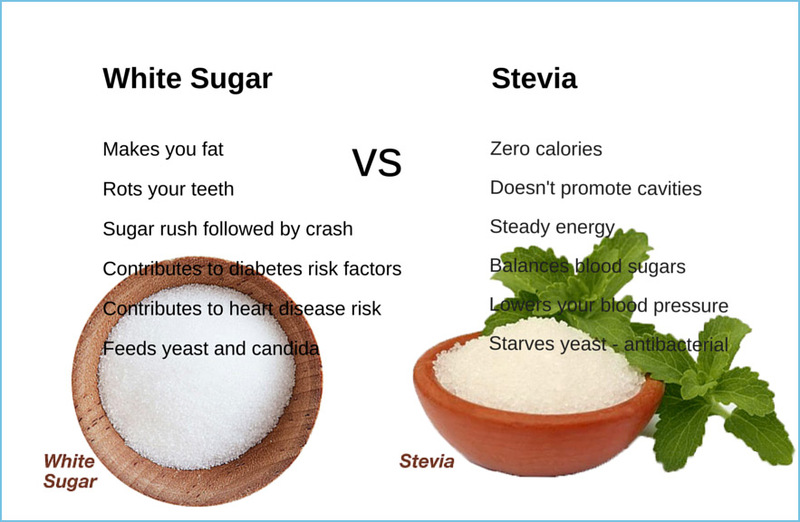 As opposed to sugar, stevia not only sweetens your food but also not absorbed by your body. 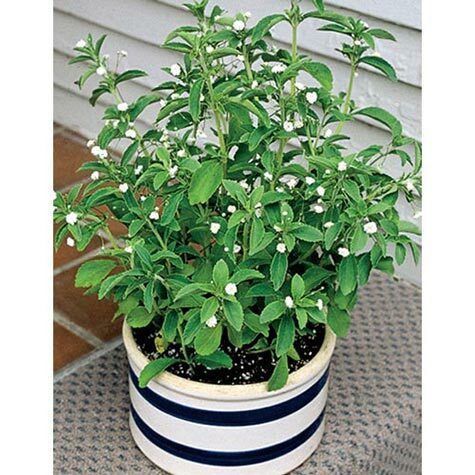 The stevia plant comes from the Asteraceae family, and is a relative of the daisy and the ragweed. Numerous species of the plant are called ‘candyleaf’ and are native to Arizona, Texas and Mexico. However, the Stevia specie from which the artificial sweetener is made is the Stevia Rebaudiana (bertoni), which is mostly found in Paraguay and Brazil, and has been used by the natives since historic times to sweeten their food. The plant’s derives its sweetness from complex molecules called steviosides. These are glycosides, composed of glucose, sophorose and steviol. The presence of these steviosides makes stevia upto 300 times sweeter than sugar. There is also the fact that these glycosides are not absorbed by the body, but they are simply excreted by the body through the urine, leaving behind no calories whatsoever. It has been reported that the Japanese have been using stevia since the 1970s to sweeten their food products as well as their drinks. The Brazilians also use it for the treatment of diabetes. According to a study conducted by the UCLA toxicologists, commissioned by the Nutrition Advocate Center for Science in the Public Interest, the compound stevioside contained in Stevia may be carcinogenic in nature (it may cause cancer). In some animals the compound caused genetic mutation, DNA breakage and chromosome damage, which could contribute to malignancy. 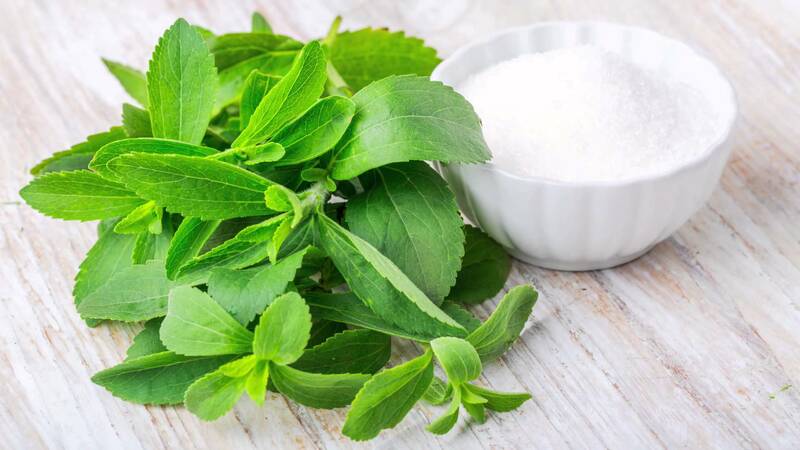 However, not all is wrong with the compound and another study of human subjects has shown that regular administration of Stevia may improve the glucose tolerance in humans, and may also induce the pancreas release insulin. It may thus prove to be an effective treatment for Type-II diabetes. Studies have also shown that the use of Stevia offers effective protection against gingivitis, which is essentially an infection of the gums. It is known to have compounds that prevent cavity, plaque or bacteria formations in the mouth. The presence of vitamins, A, C, magnesium, zinc and iron ensures the prevention of germ build up in the mouth and around the gums. Adding 2 drops of stevia to the toothpaste every day or using its extract as a mouthwash can help prevent various diseases. Stevia is also known to be extremely heat stable and hence can be safely used for cooking and baking purposes. However, not all is good with Stevia since the compound stevioside may cause stomach infections, nausea or bloating post-consumption. Experiments on animals have also shown that large amounts of stevioside in the system may interfere with the body’s absorption of carbohydrates. This also inhibits the body’s innate ability to convert food into energy. Other symptoms may include dizziness, numbness and body aches. A lot of people are also against the use of this natural sweetener because they complain that it is has a liquorice like aftertaste. In fact the dairy company Danone had to withdraw its stevia flavoured yoghurt from the markets due to its poor sales owing to the liquorice aftertaste. As already been mentioned, stevia has zero calories and hence does not add to the fat content of the body. While table top sugar is known for its sweet taste, it is also one of the biggest contributors to increased calories and fats in the human body. Excessive sugar consumption, or consumption of foods with sugar content, is known to be one of the primary causes of growing obesity around the world. Stevia proves to be an effective substitute for sugar since it provides the same sweet taste without adding any calories, effectively helping to reduce obesity. It thus helps make food healthy without having to compromise a lot on the taste. Apart from stevia, there are also other natural sweeteners that may entice you. Find information about them here! 5 Reasons why you should go organic already!